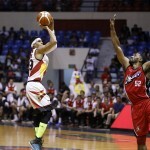 The Rain or Shine Elasto Painters have finally found their groove, scoring back-to-back wins in the PBA Governor’s Cup. The 2018 PBA Governor’s Cup match between Columbian Dyip and Barangay Ginebra at the Smart-Araneta Coliseum. The 2018 PBA Governor’s Cup match between the Phoenix Fuel Masters and TnT KaTropa at the Smart-Araneta Coliseum. The 2018 PBA Commissioner’s Cup Finals Game 6 between the Barangay Ginebra Kings and the San Miguel Beermen at the Mall of Asia Arena in Pasay City. It wasn’t too long ago that speculations grew of San Miguel Beer rookie Christian Standhardinger being on the PBA trading block. After two impressive performances in the ongoing PBA Commissioner’s Cup Finals, all those speculations are likely put to rest. The 2018 PBA Commissioner’s Cup Finals between the Barangay Ginebra Kings and the San Miguel Beermen at the Smart-Araneta Coliseum in Cubao, Quezon City. 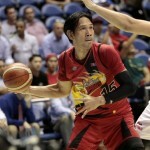 San Miguel Beer and Barangay Ginebra clash in a veritable duel of titans and both brace for a cutthroat battle in their PBA Commissioner’s Cup best-of-seven title showdown set to begin Friday at the Smart Araneta Coliseum. 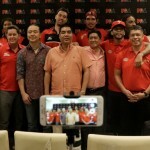 PBA: Where Will Calvin Abueva Play Next? The PBA Commissioner’s Cup semifinals are set to get underway with the Alaska Aces taking on the defending champion San Miguel Beermen. 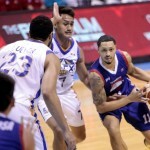 This matchup should be something to watch although it will exclude one of the colorful players in Calvin Abueva.